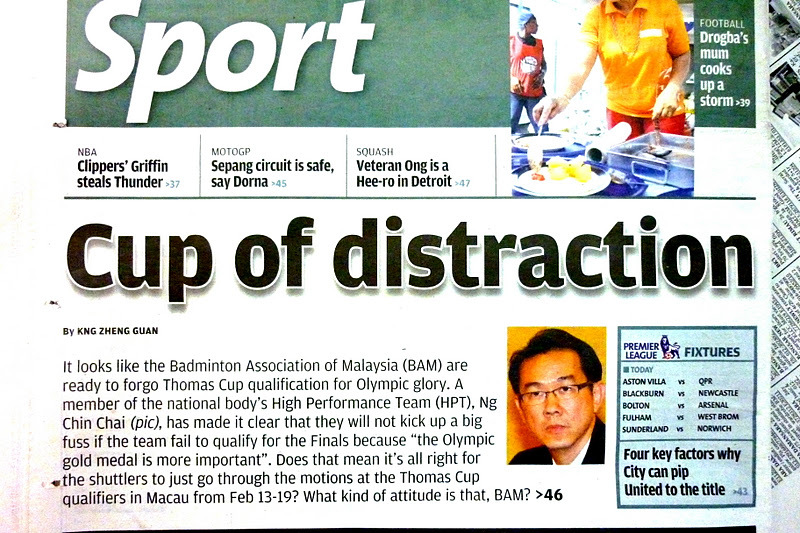 zuqiuwang: Is BAM Giving Up On The Thomas Cup? 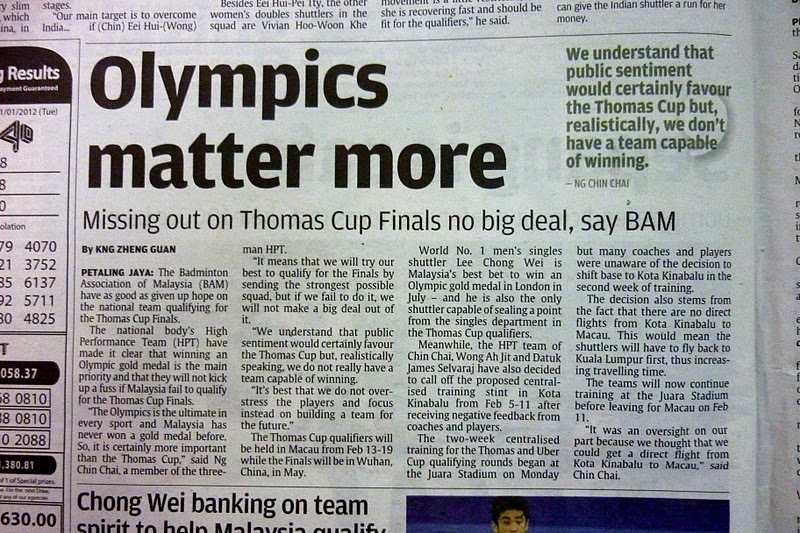 Is BAM Giving Up On The Thomas Cup? 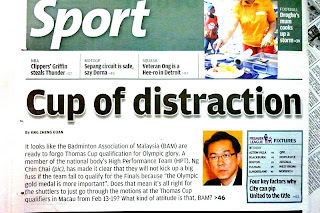 It seems that the Badminton Association of Malaysia (BAM) has already given up on qualifying for this year's Thomas Cup competition in Wuhan, China. 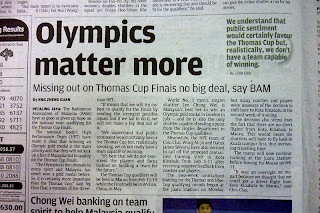 Ng Chin Chai, a member of the body's High Performance Team (HPT), was quoted to have said in Starsports: "The Olympics is the ultimate in every sport and Malaysia has never won a gold medal before. So, it is certainly more important than the Thomas Cup...We understand that the public sentiment would certainly favour the Thomas Cup but, realistically speaking, we do not really have a team capable of winning"
associations in the world, with all resources needed, has not only failed to bring up a team capable of winning the Thomas Cup but has also failed to bring up a team capable of even qualifying for it! The Thomas Cup competition is the most prestigious team competition in the sport with a long and colourful history. Malaysia itself was the pioneer winner of the Cup and has altogether won it five times. For BAM to admit that they can't even raise a team to qualify for the competition is really telling a lot about its failure. Isn't it time we kick out those officials running BAM?